100% merino wool + miracle beads. Miracle beads are knit into this hat in the formation of the september night sky. 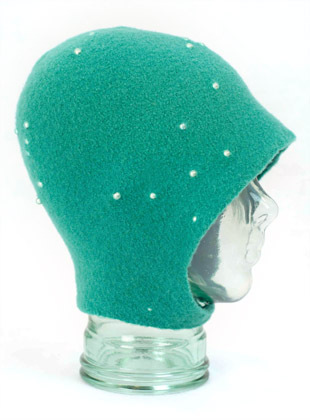 jade hat with embedded tonal miracle beads. With chinstrap + miracle bead button.